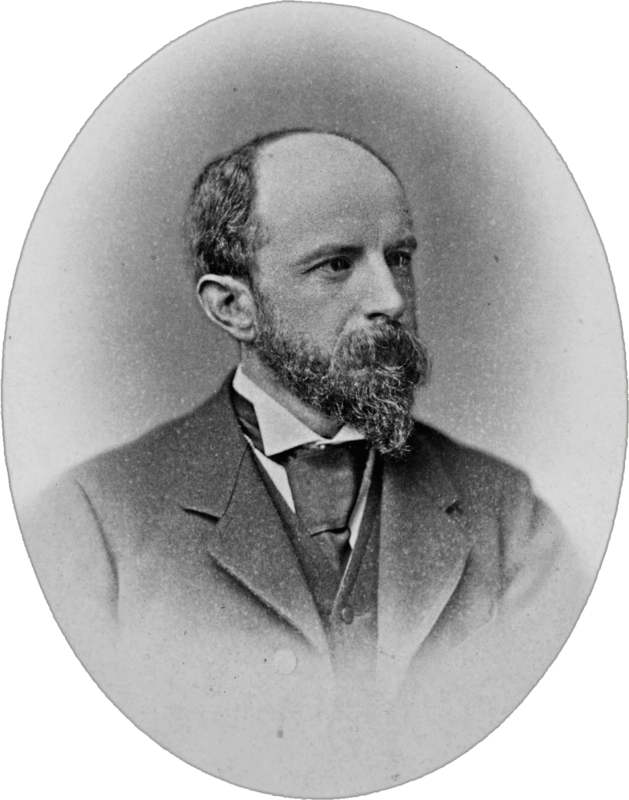 Henry Adams’s Democracy: An American Novel, was first published anonymously in 1880. Its author never publicly acknowledged it as his work. (It goes unmentioned in Adams’s autobiography, The Education of Henry Adams, published after his death in 1918). One hundred thirty-five years later, it retains its hold on readers’ imagination, a classic of U.S. political fiction. Just a few years ago, it was chosen by readers of Slate magazine as the best American political novel of all time. What accounts for its stature? For a slender satirical novel, its moral turns out to be surprisingly hard to pin down. Some admiring critics have wanted to read Democracy as a simple morality tale, opposing modern corruption to classical virtue. That does the book a disservice. Democracy‘s protagonist, Madeleine Lightfoot Lee, is a young New York widow, endowed with fine taste, high sentiments, and an independent private income. An admired, intelligent woman of 30, Mrs. Lee has already visited Europe, and risen to the heights of New York society. To the surprised consternation of her friends and relations, she decides to relocate to Washington, D.C. — then a city of few amenities and little distinction, apart from its being the seat of the national government. She seeks the excitement of politics, determined to learn all its secrets. (To what end, it’s a little unclear.) Admirable woman she is, she soon finds herself courted by two rival suitors. One is Senator Silas P. Ratcliffe, of Illinois — a career politician, loyal only to the Party on which his future is staked. The other is Mr. John Carrington, an old-fashioned Southern gentleman, upright and impecunious. Senator Ratcliffe has the domineering parliamentary presence of a latter-day Daniel Webster, with a genius for back-room maneuvering. He has built his career on advancing the interests of his party, and recognizes no moral claims conflicting with that party’s success. Mr. Carrington, a much younger man, bears the stamp of an older coinage. “He is my idea of George Washington at 30,” says Mrs. Lee on becoming acquainted with him. A man of impeccable, self-effacing reserve, he will stoop to no unseemly self-promotion, and refrains from all partisan jockeying. Ratcliffe has the advantage of power and cunning, capable of outfoxing his party’s own incoming President. (This new, unnamed, President owes his election solely to Ratcliffe’s having made a few too many enemies to secure the party’s nomination for himself.) We see Ratcliffe get the better of his new President, and we watch him come close to obtaining Mrs. Lee’s hand in marriage. He is wily enough to get Carrington off the scene (secretly arranging for him to be given a diplomatic posting abroad). But in the end Carrington thwarts his designs — by passing on to the shocked Mrs. Lee evidence of his rival’s sordid political dealings. The editor of the recent Penguin Classics edition of the novel, Earl N. Harbert, reads Democracy as a straightforward moral allegory, a clash between modern party politics and an older “politics of principle.” “The contest for the hand of the heroine thus becomes a struggle to determine the future of the American nation.” For Harbert, Senator Ratcliffe is but an amoral opportunist, unscrupulous and self-serving — entirely “color-blind” in matters of conscience. His romantic rival Carrington embodies the austere virtues that Ratcliffe lacks; unsullied by party connections, he stands as “the moral and political hero of Democracy.” This is a bit too simplistic. The truth is more complicated and more ambiguous — and also more interesting. Harbert’s reading relies on identifying Carrington’s old-fashioned outlook with Henry Adams’s own. It sounds plausible, because Adams repeatedly calls himself “a man of the eighteenth century” in his autobiography. A great-grandson of John Adams, second U.S. President after Washington, Henry Adams had been close as a child with his grandfather John Quincy Adams, sixth in that series. Looking back from the end of his life, Adams says that his upbringing left him entirely unprepared for making sense of (let alone succeeding in) modern political parties, with their unseemly bargaining among disparate interests. His fictional Senator Ratcliffe is presented as the master at just this form of politicking, which the actual Henry Adams found bewildering and repugnant. Carrington stands aloof from all that, as Adams had done. He reveres George Washington, whom Ratcliffe has the impudence to disparage. (Ratcliffe calls Washington an amateur, whose aloofness disguised his inadequacy.) Very well. But there’s another side of this story. Earl N. Harbert seems aware of the difficulty, for he labors assiduously to be rid of it. In his Introduction to the Penguin Classics edition, he writes, “Carrington is a loyal Virginian but never a secessionist; he is a former Confederate soldier who fought bravely for his region and political beliefs but never for the cause of slavery.” Really? Harbert is at pains to reiterate, even italicize, his hero’s freedom from any taint of association with slavery. What he’s unable to do is quote from the text in support. Was Carrington never a secessionist? Adams has him say that he “had been a Union man” — meaning, he had preferred for the South to remain in the Union, before the secession occurred. What exactly were those “political beliefs” for which this Confederate officer gallantly fought? About this Adams is pointedly silent — as he is silent about Carrington’s attitude, then or later, toward slavery itself. The matter does not go entirely without comment, however. Ratcliffe, for one, has no doubt that Carrington “believes in the divine doctrine of flogging Negroes.” (In the same breath he also rails against European reactionaries with “nothing to do in the world but to trample on human rights.”) Ratcliffe says this privately to Mrs. Lee, when Carrington isn’t there to contradict it. But Mrs. Lee might have done so, if she had reason to think it were false. Instead, she changes the subject. Ratcliffe has his reasons for disliking Carrington, and what he says about Carrington’s views may or may not be founded on fact. But there’s no reason to take his contempt for such views as in any way cynical or unprincipled. He is, to repeat, a Reconstruction Republican, a loyalist to the party of Lincoln. (For whatever reason of tact or style, the Republican Party goes unnamed in the novel, but its identity is plain enough.) He had apparently been among those present at Lincoln’s bedside when he died — an event that was not more than a dozen or fifteen years in the past. (The year in which the novel takes place is left hazy, giving Adams a freer hand in contriving the plot.) We are told that the sole decoration adorning his walls is Lincoln’s portrait. Ratcliffe himself is no Lincoln, needless to say. He may be regarded as one of those canny careerists who rise to the top, sooner or later, in any successful political party. But the fact remains: his is the Party of Lincoln, the Party that both saved the Union and ended slavery. It is easy to lose sight of this fact in reading Democracy, and most of its characters seem to have done so. But it is surely the central fact of Ratcliffe’s political consciousness. He has it in mind when he tells Mrs. Lee, to her apparent discomfiture, that for him nothing comes before party allegiance — besides loyalty to the country. It’s the reason he doesn’t distinguish much between those two loyalties. And it’s this that lends even his darkest acts their ambiguous moral coloration. “I am not proud of the transaction,” Ratcliffe says, “but I would do it again, and worse than that, if I thought it would save this country from disunion.” He acknowledges the illegality, and even admits (on another occasion, in private) that it “violated the sanctity of a great popular election.” But he makes no apologies, and expresses no contrition. He has made no secret of what he has done, and has apparently retained the trust of the people of his state, having afterwards been made Senator. (Bear in mind: U.S. Senators were then chosen by the state legislature, and there was not yet a Fourteenth Amendment to place such an act under federal jurisdiction.) The fraudulent act was committed to neutralize the effects of a fraud perpetrated by traitorous adversaries, and nothing less than the fate of the nation was thought to be at stake. It is a a near-perfect case of what some philosophers and moralists have come to call the “dirty hands” situation. The immediate question is not so much whether Ratcliffe’s conduct was proper, but whether it might have been done in good faith. It is certainly tempting to think so — tempting, that is, for Ratcliffe himself, and tempting too for his hearers, Mrs. Lee and her friends. For him, because the act benefited not only his nation, but also his own career. For his hearers, because doing so spares them the genuine moral difficulties in the situation. In any event, only Carrington, of that company, dares to condemn. But then Carrington — as Ratcliffe is quick to point out — hasn’t much moral standing in this, having been engaged in armed rebellion against the U.S. at the time.